Lemon GreenTea: Meet the boys of 26Hundred B.C. Meet the boys of 26Hundred B.C. The ASIAN ARTISTS AGENCY, INC. (AAAI) has discovered five golden voices in Baguio City. The all-male quintet which calls itself 26HUNDREDB.C is now part of the growing roster of talents of the artist management company. 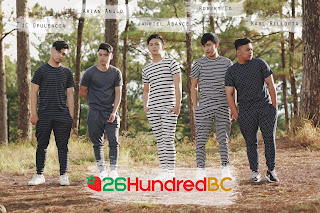 26HUNDREDB.C will be launched in a concert at the Forest Lodge, Camp John Hay in Baguio City on August 11, Friday and at the SM City Baguio Event Center on August 12, Saturday. Both concerts will have as guest another Asian Artists Agency talent, the duo Miko and Gabriel. Also featured in the launch is singer/comedienne Jenny Gabriel, a Tawag ng Tanghalan finalist. president and CEO of AAAI. The group is composed of Karl Russel Rillorta, Arian Anglo, Robert Co, John Carlo Opulencia and Janriel Abance. They all come from Baguio City and were schoolmates at the University of Baguio. The group revealed they were clueless and unaware that a new world was opening right before their eyes when they passed the auditions. They were hand-picked by Boy Abunda from the number of hopeful young men and women who braved the rain and skipped school to join the auditions. “The presence of Tito Boy was too much to handle, nakakalula,” quipped John Carlo who sings OPM. "We were scared to death. Halos di kami makapagsalita. Tito Boy is an overwhelming presence," said Janriel. 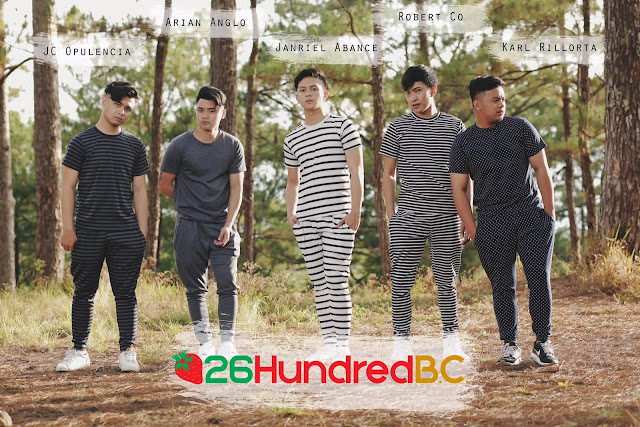 When asked what’s behind the name 26HundredB.C., Janriel explained, "Naming the group was a big challenge. Everyone offered a suggestion. But only one name really stuck in everyone’s mind. 26Hundred is the zip code of Baguio City and we are proud of our place." B.C was added because everybody comes from Baguio City. As a young vocal group, the hardest struggle was the differences in their personalities. “We didn’t know each other,” said Robert, a jazz and theater music lover. 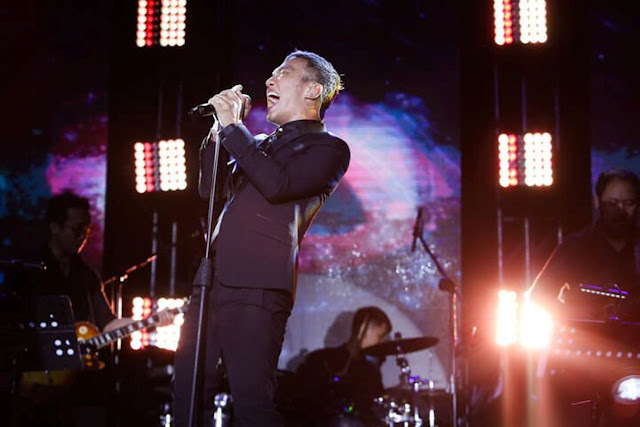 Arian, who is fond of pop-rock music, alternative and OPM admitted that they have diverse musical influences. Karl Russel who likes jazz and R&B, pointed out that despite their personality differences and music genre variances, they gel and connect with each other perfectly. Their contrasting and diverse musical backgrounds serve as the group's musical base.